Show your team spirit this Football season! Here are a few great deals on Memphis Tigers Purses. 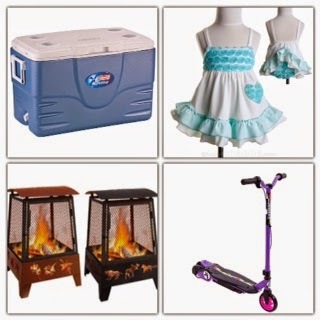 Daily Deals Round Up August 23rd! 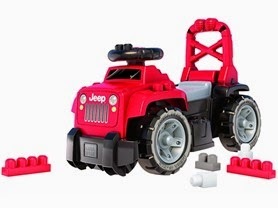 Little ones will love cruisin in this Mega Bloks Red Jeep 3-in-1 Ride-On for $24.99 (Retail $44.99). Recommended for ages 1 year. Walgreens Coupon Match Up August 24th-30th! Buy 1, get $1.50 RR. Spend $15, get 3000 ($3.00) points. I am loving this comforter deal today. Get a new look for your bedroom with this Monica 8 Piece Comforter Set $44.99 (Retail $115). The comforter and shams feature a ornate green and brown iron gate scroll motif that is printed on a ivory ground. The pattern is pieced with solid brown pleated fabric and a soft quilted lattice pattern. The comforter and shams reverse to a solid ivory color. The set includes a solid brown bedskirt. The euro shams feature a solid brown microfiber fabric with an ivory color piping. Two embroidered and pleated decorative pillows are included to complete the overall look. Target Coupon Match Up August 24th-30th! CVS Coupon Match Up August 24th-30th! *Must buy a razor AND shave gel.